We were selected to undertake a complete new rebranding of the institution, positioning it as medically progressive and forward-looking. 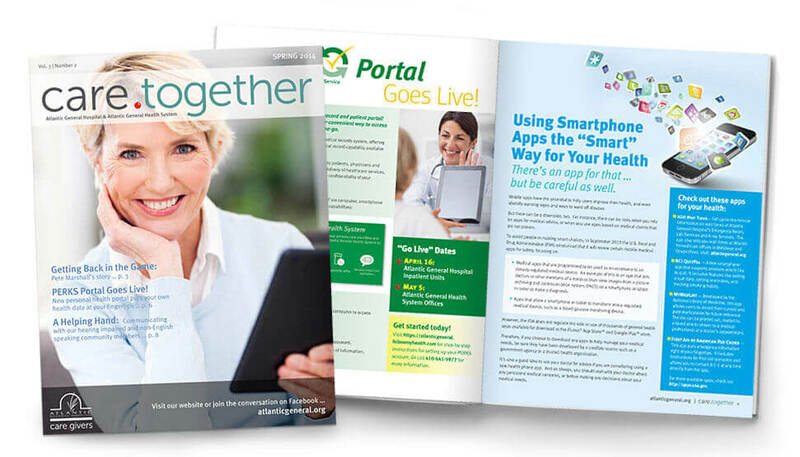 The corporate branding effort positioned Atlantic General Hospital as partnering with health consumers not only for treatment, but also in promoting healthy lifestyles. The “care.givers” tagline applies to the hospital’s as well as consumers’ role in health. 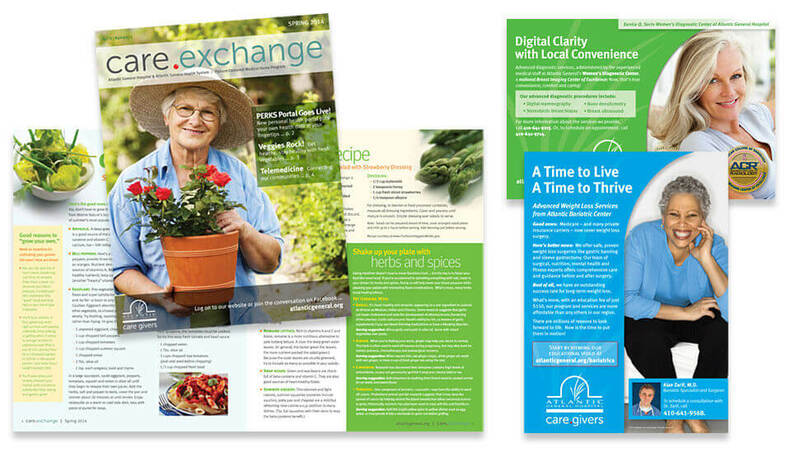 It is also an expandable message that can be used in different ways under the same branding umbrella … such as “care.together” for the hospital’s community magazine and “care.convenience” for promoting its office locations throughout the region. 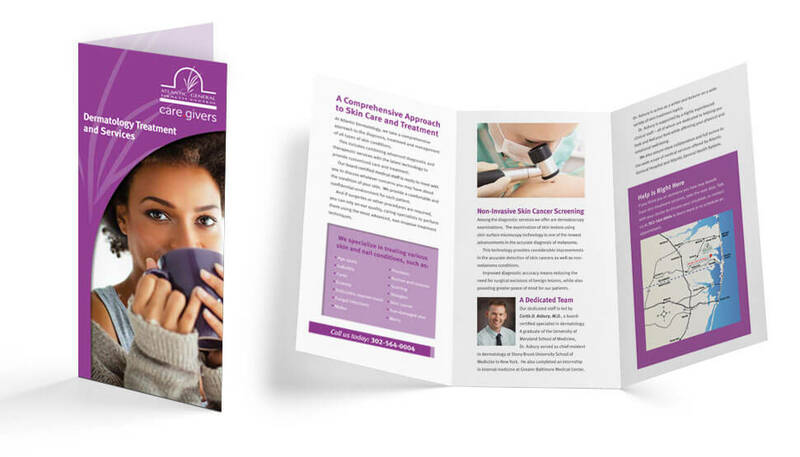 The theme and visual identity has been carried through all aspects of hospital marketing, including print and TV advertising, the community magazine, outdoor billboards and signage, as well as in literature presenting specific areas of medical specialization.